During today’s webcast meeting where Oracle and Fatwire Product Management executives outlined integration plans we had a chance to participate in QA. While my questions did not get answered many other questions were answered. In writing. In the chat window. Which I was able to capture. 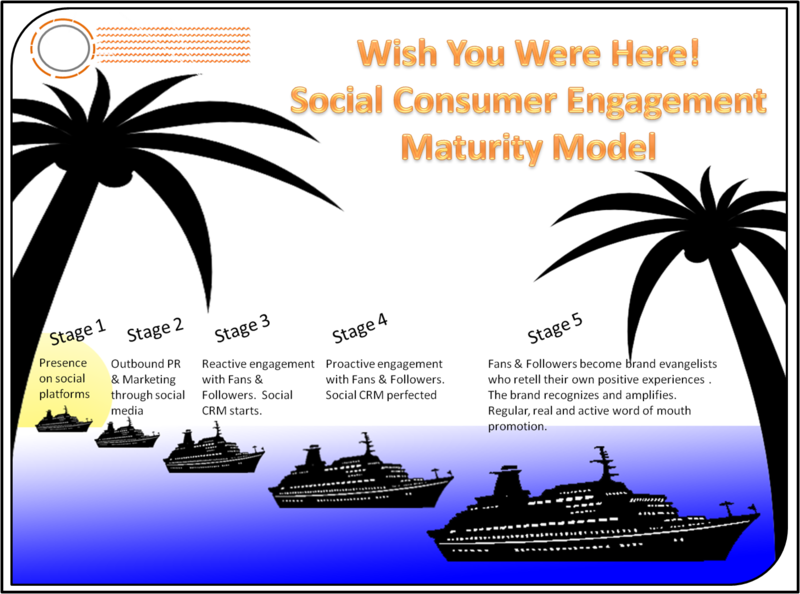 (see my writeup on the webinar for my list of questions) The webinar replay is available here. You can see the list of Q&A screen captures here: 1, 2, 3, 4, 5, 6, 7, 8, 9, 10, 11, 12, 13, 14, 15, 16, 17, 18, 19, 20, 21. 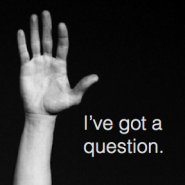 Here is my take on the Q&A and there were some juicy moments if you read between the lines. Please note that my interpretation is a gut feeling. I have no insight into Oracle plans. I could be wrong. Swim at your own risk. No lifeguard on duty. Question: What’s the difference between SiteStudio and Fatwire? Billy Interpretation: Got websites – they’re going to have to move to Fatwire eventually. 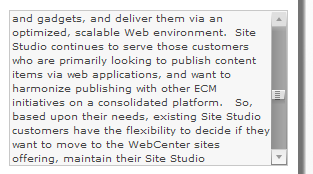 Site Studio will remain in “WebCenter Content” and be redirected to publishing ECM managed content items to webcenter spaces and portal. My guess is that it will continue to provide some part of the edit in context capability for Spaces/Portal. However, WCM (as pure web site/content/experience management) will be redirected to the Fatwire platform. Question: Is there going to be a migration from a Site Studio site to a Fatwire site? Billy Interpretation: No. Partners and SIs rejoice. Customers cringe. Question: How do you support 10,000 different devices? Billy Interpretation: about time. Device detection and re-rendering has been a big gap with Oracle WCM for a long time. 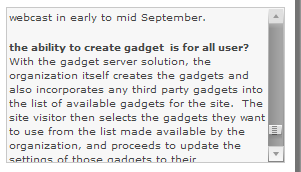 My guess, though, is that the template developers still have to develop and create rules for all the device families. I also wonder if that device library is going to be updated with all the new tablet designs etc now that Oracle owns it. Time will tell. 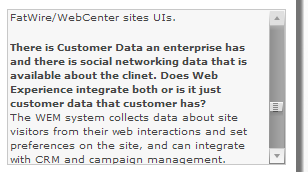 Question: How does WebCenter Spaces fit into this integration? 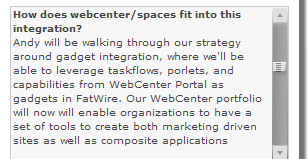 Billy Interpretation: WebCenter Spaces will be kept separate from WebCenter Sites (fatwire). 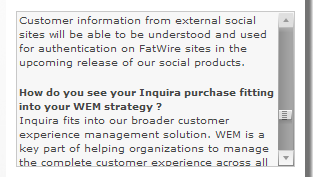 Question: How do you see your Inquira purchase fitting into your WEM strategy? Billy Interpretation: Um. We’re not sure. A different group at Oracle bought Inquira. 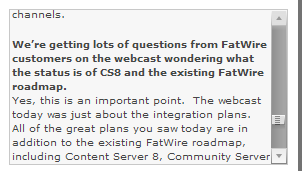 Question: …What [is] the status of CS8 and the existing FatWire roadmap? Billy Interpretation: Most of it will come out. Now you know where all those extra R&D investment dollars we talked about are headed. Stay tuned. I agree with much of your comment but I think there is another aspect that has not been addressed. Stellent used to promote SSPU (remember that)….when the content needed to be published for web sites that needed maximum speed from resolved HTML, etc. 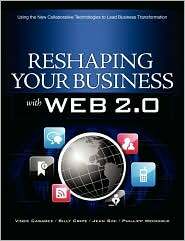 There was also Content Publisher for the creation of web sites by converting “Word” documents. 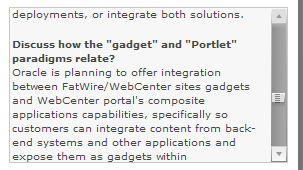 The dual approach of Site Studio for “Simple” information sites and Fatwire for WEM sites, seems like the same complex message and that is not to mention the whole “Portal” context. There is a real issue for customers and partners …too many products / technologies. I think the scale of the change for many Site Studio customers will cause tem to look at alternatives. I believe there are a number of Site Studio customers who have not upgrade to 11g due to the scale of the change. The situation for those customers is going to get worse as things look now. This is a very important issue you point out and one I am dealing with right now. The question on whether or not to upgrade to 11g and go through a full re-platform for their websites is a huge concern in and of itself. Add to that the possibility of having to do it again to move to a fatwire platform and it is downright infuriating. However, the alternatives don’t seem that much better. I was poking because 1) it looks like the response was drafted ahead of time and 2) it doesn’t answer the question. I like your blog post and everyone should take a look at it. 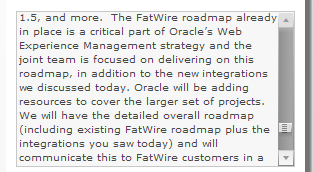 However, you make the same point as I do: Site Studio websites can continue on as is but it appears that Oracle is putting their web site management eggs into the Fatwire basket. The reprieve is that there is likely to be a good chunk of time before that really sets in. 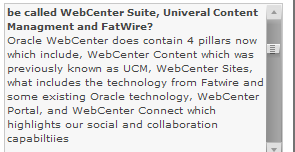 Furthermore, the “bi-directional” adapter between UCM and Fatwire will help with the ability to surface core content items (images, videos, documents and such) in Fatwire sites – just like you can surface them in WebCenter spaces or Applications. However, I and others (*customers*) am still skeptical that Fatwire will be able to read and render Site Studio region templates, idoc design logic or HCS* files. Those will likely need to stay until end of life in Site Studio sites or be rewritten in Fatwire JSP/XML. 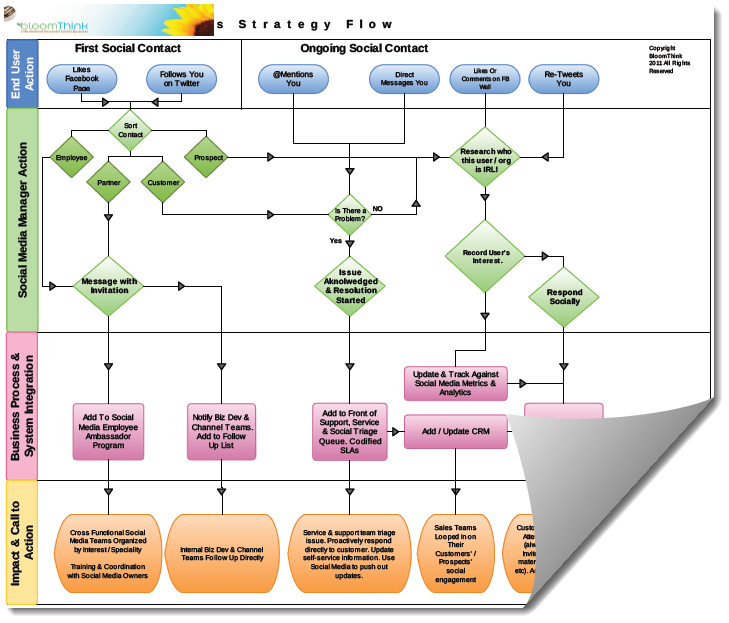 Overall, the eventual move away from IDOC design logic is not a bad thing. But that bit of “take your medicine” -when it finally arrives – is not likely to be a pleasant experience for many. 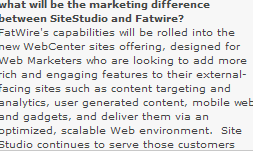 Oh…my question has been answered hehe….the 1st question about marketing differente between Fatwire and SiteStudio .